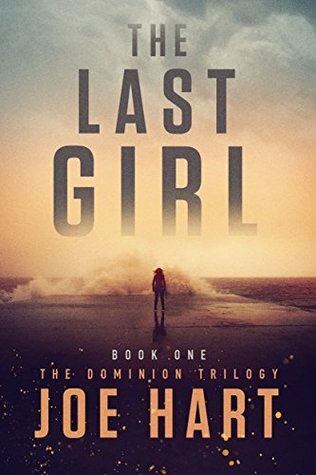 I am always down for a nice, twisted dystopian but what really caught my interest with The Last Girl was the medical/science theme. Sadly this is what also drove me insane. Dystopian lit is either original or not. I've read so many that are "cookie-cutters" and unoriginal but The Last Girl was unique. The idea of a virus wiping out the female race is just so creepy. I was interested to see just how feral the world (men) would become with the absence of women. The main character Zoey was a little hard to relate with because of #instalove and her #instaGIJane antics. I mean, I'm sure if I were faced with a life or death situation I would instantly become a psycho-ninja but I would have no idea how to load or aim a gun. And 'ol Zoey, who came from a completely controlled compound, just busted out her marine moves and shot. Oddly enough, I really liked the mean girls best because I understood their anger and closed-minded thought process. And I really wanted to choke the teacher. #thefeels May not be the best kind but still- these characters were just better developed. Overall, Hart did a nice job of setting the stage but I still have so many questions. Which is typical for a first book in a series. But the one question that I just couldn't let go of was the basis of the story THE GIRL. Basic science tells us that men (sperm) have the final decision in gender selection. So why is this advanced, crumbling society focusing on the last few girls? What I am hoping is that book two will really drop a few bombshells and give this world a little more focus and direction. Right now I feel like I have started a book, got halfway through and then had to return it to the library and wait my turn to finish! 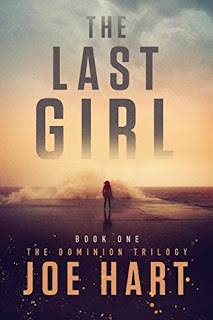 I think there is potential for The Dominion Trilogy and I hope Mr. Hart brings it in book two! It is a very fast read and would easily be liked by teens. Seems to be a great book, I like reading these kinds of books, thanks for sharing.